The Tuareg are the best known inhabitants of the Sahara: desert people whose men wear distinctive veils. 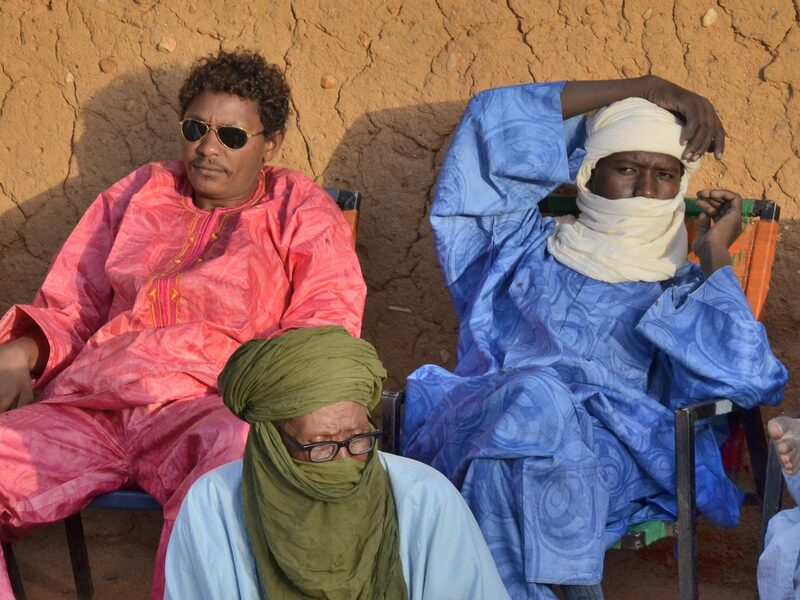 Among Westerners the Tuareg engender a romantic allure, but in their homelands of Mali, Niger, Libya, Algeria and Burkina Faso they’re viewed with hostility and contempt, not least since some forged links with al Qaida or ISIS. Dutch journalist Gerbert van der Aa has traveled in Tuareg lands for 30 years, and was himself once kidnapped at gunpoint. He meets daredevil smugglers, humble gardeners, ageing mercenaries and jaded politicians in a quest to unravel the region’s complex politics. In Search of the Tuareg is available as paperback and ebook. Click here to read the first ten pages. Send a message to order or have a look at Amazon. Gerbert van der Aa (1968) is a Dutch historian and journalist, specializing in North and West Africa. He works freelance for several newspapers, magazines and TV channels, and published four books: on Libya, Nigeria, Sudan and the Tuareg. Van der Aa was twice nominated for the Bob den Uyl Prize, a Dutch award for travel writing. In Search of the Tuareg is his first book in English.